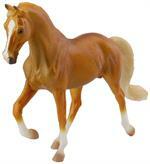 Dinosaurs and extinct mammal figurines available from Breyer Model Horses. The Elf on the Shelf®: A Christmas Tradition includes a special scout elf sent from the North Pole to help Santa Claus manage his naughty and nice lists. When a family adopts a scout elf and gives it a name, the scout elf receives its Christmas magic. Built to last and withstand even the toughest Tonka kids and guaranteed for life! Did you know that "Tonka" means "great" in Sioux? It's no surprise considering just how long this great, reliable brand of toy trucks has been around! Metal or Steel trucks! A breed of American origin, the Standardbred is a breed that is quite good at jumping, making them suitable for the sport horse disciplines of hunt seat, show jumping, show hunter, and eventing. This figurine model horse measures 7.28" x 4.45". In January 2011, a Border Collie was reported to have learned 1,022 words and acts consequently to human citation of those words. Named after Britain's King Charles II, the Cavalier King Charles Spaniel is a perfect companion for both adults and children. 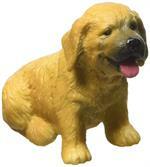 The 2.4''L x 1.6''H Cavalier King Charles Spaniel is just one of the many beautifully sculpted dogs from CollectA. The Belgian is known for it's kind temperament and is easy to handle. They are still used for all manner of draft work, including plowing, logging, pulling carriages, hitches and sleighs. This pretty standing mare figurine measures 18cm x 13cm. The Standardbred breed is quite good at jumping, making them suitable for the sport horse disciplines of hunt seat, show jumping, show hunter, and eventing. Measures 7.28" x 4.45". Thoroughbreds are used mainly for racing, but are also bred for other riding disciplines such as show jumping, combined training, dressage, polo. This adorable foal figurine measures 4 x 1 x 3.5 inches. Thoroughbreds are used mainly for racing, but are also bred for other riding disciplines such as show jumping, combined training, dressage, polo. This adorable foal figurine measures 4.2" x 3.11". The Rocky Mountain Horses' gait and disposition make it sought out by elderly and disabled riders. This cute dappled chocolate brown foal measures 11cm x 8.9cm.